Orly was a company started in 1975 and have been in the business for more than 33 years. Their nail care products have been preferred by manicurists for nail strength, adhesion, wearability, dry time and shine. They are also attributed with the creation of the French Manicure, one of the hottest nail trends all over the world. The nail polish bottles have an award winning Gripper Cap. This rubber cap provides ease in opening and application, which is exclusive to Orly products. All the Orly nail polishes are free of DBP, toluene, formaldehyde and formaldehyde resin. Check out the list of the top Orly nail polishes to decide which ones to add to your kitty. If you love orange polishes but are afraid of the color being too bold, this shade is the perfect answer. Crush on You is a muted orange that will suit almost everyone. The color reminds me of a mango. Requires two coats. First Kiss is a light peachy – pink color in a creme finish. As the name suggests, quite a romantic color. 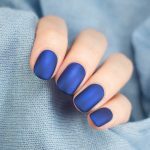 Perfect when you do not want much color on your nails. This will also look pretty as a base for a french manicure. Requires two coats. Check out this gorgeous glitter polish! Androgynie is a slightly sheer black polish with lots of fine and chunky blue, green, purple, gold and some more glitters. You might need multiple coats to achieve full opacity, so I recommend using about two coats of Androgynie over a regular black polish. If you are not a fan of glitter polishes but might be tempted to add some bling on your nails once in a while, this Orly nail polish is for you. Shine On Crazy Diamond is a clear polish packed with fine holographic silver glitter. It is a kind of topcoat that you can pair with practically any color. Add as many coats you want depending on the amount of glitter you want. This has to be my favorite of the lot. I have never seen this kind of polish before. Fowl Play is a slight sheer purple tinted polish packed with flakies that shift from orange, yellow, red and green along with some fine silver glitter. Requires three coats, but it is preferable to wear it over a regular purple polish for added brightness. Bright, bright pink polish in a creme finish. Sort of looks like a bright bubblegum. This one is the perfect pink to be worn in summers. Requires two coats. For those of you who love mint polishes like me, here is another beauty. Ancient Jade is a pretty mint green polish in a creme finish. Requires two coats. Glided Coral is a neutral polish with a twist. It is a beautiful peach – pink shade with lots of gold shimmer in it. 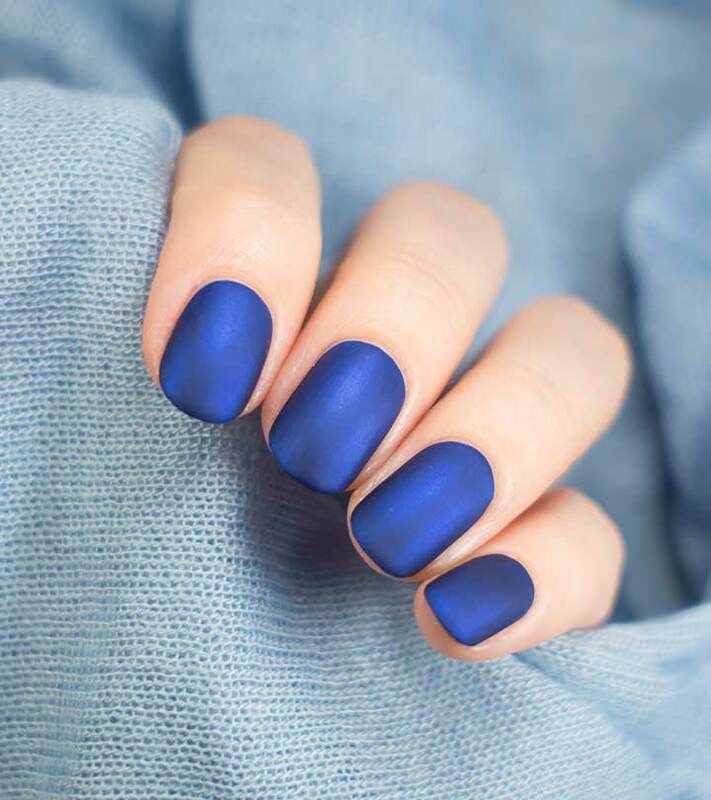 Perfect shade when you do not want too much color. Requires two coats. Now this is something exciting. Purple Pleather is a part of the Plastix collection. 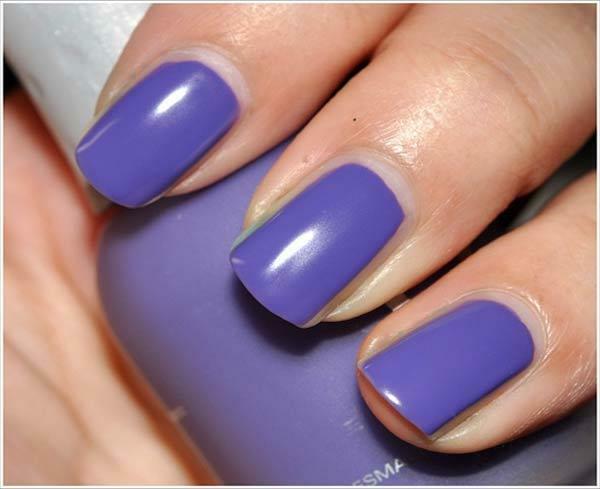 It is a bright purple polish that dries up to give a finish somewhat similar to plastic. Never heard of this type before, but I love the final look. Requires two coats. What is not to love in this polish? Space Cadet is bluish multichrome polish that shifts from gold to green to orange to purple. 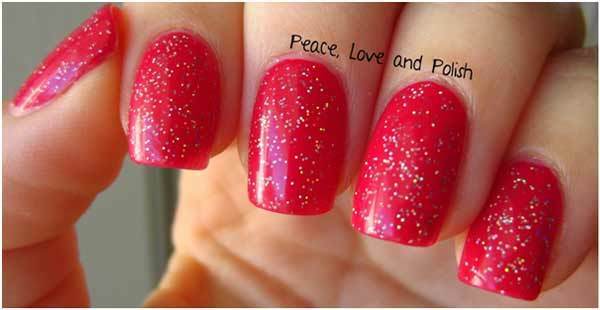 I love this polish to the core and it is definitely a statement making polish. Requires two coats. So, the above are top 10 orly nail polish shades you can definitely try. 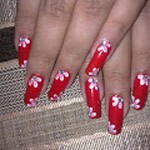 Also, you can try various nail art designs by downloading our free nail art ideas app. Try polka, blended colors, glitters, jewels, stamping and what not. Get the app to master the art.